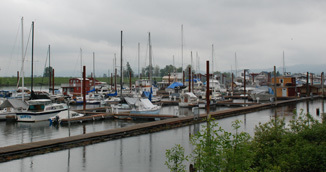 McCuddy's Landing Marina is located approx. 12 miles west of the St. John's Bridge off Highway 30, in the Multnomah Channel. The 15 minute drive from downtown Portland takes you away from the city into a beautiful, peaceful, park-like setting, surrounded by a view of three mountain peaks, and the Sauvie Island Wildlife Preserve. 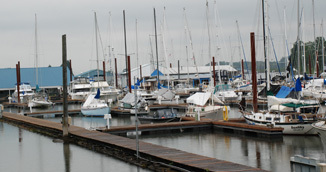 The moorage features 200 slips, ranging from 30 to 90 feet; all slips are double with metered power and water. 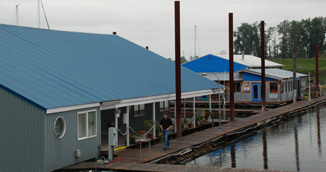 Houseboat and boathouse slips are available.